Come in and browse around our amazing gift shop. Take your time and enjoy yourself. We have the largest selection of open stock bone china patterns in the area. We have gifts for all ages and many Canadian made products. Unique jewelry, souvenirs, lead crystal, coats, jackets, sweaters and T-shirts. You will appreciate our complete line of fishing tackle and sporting goods. We also have the largest selection of knives in the region! 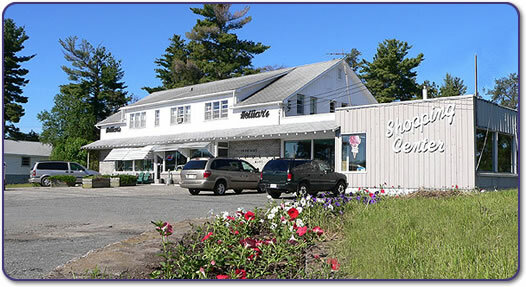 We also feature a convenience store, handy for picking up such things as milk, bread, eggs, ice cream and soda pop, and all the fixings for shore lunches. We carry staples for everyday living and a complete line of convenience foods in our grocery section. A good selection of maps, postcards and snacks also on hand. For a treat we have an Ice Cream Bar with several flavors of delicious, old-fashioned scoop ice cream. Our nearest government liquor store is about 1 mile away.